This week on the Teller and the Tale, I pay tribute to the Scottish bard Robert Burns. January 25th is, of course, the anniversary of the birth of the "Ploughman Poet". Born in 1759 in the village of Alloway, near Ayr, Burns grew up in a poor tenant farming family. Nevertheless, his parents saw that their son received a good education. Perhaps to ameliorate the hardships of ploughing fields, Burns developed a taste for reading. It wasn't long before he turned his hand to writing poetry, inspired by the likes of Robert Fergusson and others. As he grew older, Burns also found pleasure in drink and women. He fathered two children with Jean Armour, a woman he would later marry, but not before having a fling with "Highland Mary", with whom he nearly emigrated to the West Indies. However, her sudden death and the popularity of Burns' first volume of poetry convinced him to stay in Scotland and develop his talent. By the age of 27, Burns was famous throughout the land. Writing in both English and Scots, Burns had a keen sense of how to best reach a wide audience in both countries. However, like many young celebrities, Burns soon spent his money on women and drink and pub pals. Broke, he returned to Dumfries and took up a job with the Excise Department, not one of the best-loved jobs among ordinary rural folk. Nevertheless, a little more security gave Burns time to write and collect songs and renew his relationship with Jean Armour. Sadly, Burns died--worn out from his hard life--in July 1796. He was buried with the honours befitting a national bard. Today, his reputation seems to know no bounds. Burns Night is celebrated not only in Scotland but all over the world, from Argentina to Zanzibar. 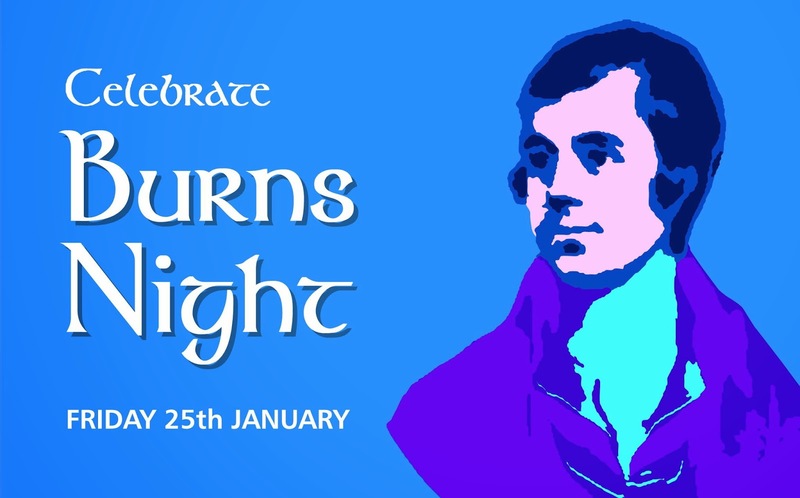 Join me this week as I feature Burns Night contributions from actors Gordon Kennedy and Alex Norton, storyteller David Campbell, folksinger Dougie Maclean, comedian and actress Karen Dunbar, and Mairi Campbell and David Francis (as the Cast). Our tribute to Robert Burns begins at 12 noon GMT on Sunday January 25th. And if you sleep in and miss it, catch it again on Tuesday/Wed at 1am GMT and Thursday at 9pm GMT. Check www.bluesandrootsradio.com for times in your area.